Bend's Central District has historically been a maze of streets that dead end—either at the railroad tracks, or at Greenwood Avenue—but with the City Council's April 18 decision to support a new Urban Renewal District for the BCD, KorPine, east downtown and inner Highway 20, there's the potential to better connect downtown and the neighborhoods in the close-in east side. "The Orchard District has conducted surveys for well over 10 years of people who live and work in the neighborhood," Bill Caram, Orchard District Neighborhood Association's chair, told the Source in an email. "By far the top priority every single year has been better bike and pedestrian services. Another consistent top priority has been better access to services, [and] we believe that the BCD would help us move forward on both of these priorities. We are very much in favor of the Urban Renewal District designation in order to kick start projects and get things moving faster." David Welton, a member of Bend YIMBY (Yes, In My Backyard), said he thinks sprucing up the BCD is a great move for a variety of reasons. "Adding housing and businesses there has the potential to be a big economic engine for the City," Welton said. During the March 21 City Council meeting, Fregonese Associates, a Portland-based urban planning firm, showed the City Council how multi-use and vertical housing developments could work in the BCD and other urban renewal areas. 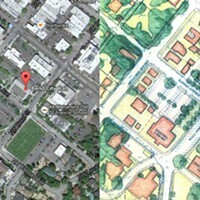 Welton cites an article published at StrongTowns.org, based on Durango, Colo., that shows denser areas to be more productive on a revenue-by-acre basis. "In other words, it's the financially responsible action to take," Welton said. "It adds some much needed variety in housing beyond the standard detached single-family residence in an area that's close to everything else." Central Oregon Landwatch has been pushing for the City of Bend to initiate urban renewal for these areas—especially the BCD—for some time. They created a BCD Initiative Facebook page to get community participation at the city level. 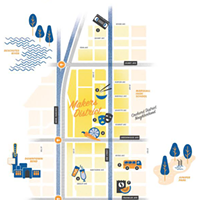 "This is huge news and a big step toward the BCD's transformation into a healthy, vibrant, and resilient mixed use neighborhood with safe connections between east and west Bend," Moey Newbold, COLW's director of urban planning, wrote in a press release. "We are excited, we think that the City Council is taking the right step on creating urban renewal in the BCD and nearby opportunity areas," Newbold wrote. One of the BCD Initiative's priorities is to get people from the east side to downtown without having to use cars—something the Orchard District Neighborhood Association supports. "We would be especially excited to see better bike and pedestrian crossings across the Parkway and railroad tracks at Franklin and Greenwood," Caram said. "Those are consistently sore spots for our neighborhood." The City voted in 2016 to expand the Urban Growth Boundary for more housing opportunities on the edge of town, which could deal with some single-family housing issues, but proponents of the BCD argue there's low-hanging fruit in the center of town as well. "Bend will eventually grow out," Welton said. "But that area of town is always going to be with us. Let's kick start it and make sure it's a nice place." Orchard's Caram agrees. "We devoted a large part of our most recent member meeting at Hollinshead Barn to the vision of the Bend Central District and there was a lot of excitement in the room and a ton of support," Caram said. 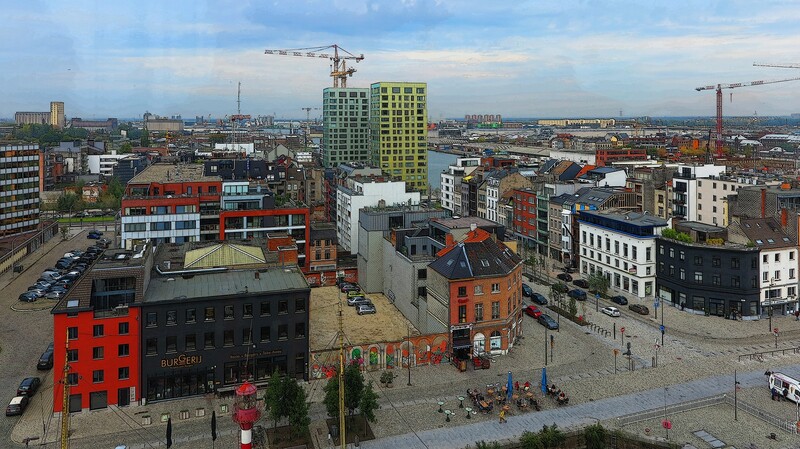 Antwerp, Belgium's Docklands Urban Renewal project. "Personally, I believe that Bend is going to continue to grow, so by focusing that new growth with high density in a central location, we can preserve the wild lands on the edge of town that is the reason that so many of us call Bend home." Urban renewal is generally paid for by Tax Increment Financing, a process by which municipalities use a portion of future tax revenue from a given area to promote development in that area, according to the website, Smartgrowthamerica. During the TIF period, overlapping taxing districts, like parks, libraries and schools, forgo any increase in property taxes within the urban renewal area, according to the March 21 presentation at the Bend City Council meeting by EcoNorthwest. During Fregonese's presentation the same day, presenters said, "A key factor to consider when evaluating impacts to overlapping taxing districts is whether the projected new development would occur regardless of urban renewal, and therefore, whether those taxes should be considered as foregone or whether the taxing district would not have seen the growth without urban renewal." 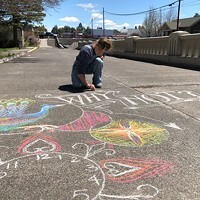 The City Council will make the Urban Renewal District official during its May 2 meeting, then will vote at a future meeting on whether and how to use an urban renewal district for the UGB implementation, according to Anne Aurand, the City of Bend's communication director. The staff will then come back with some specific options that it can vote on in the future, Aurand said. 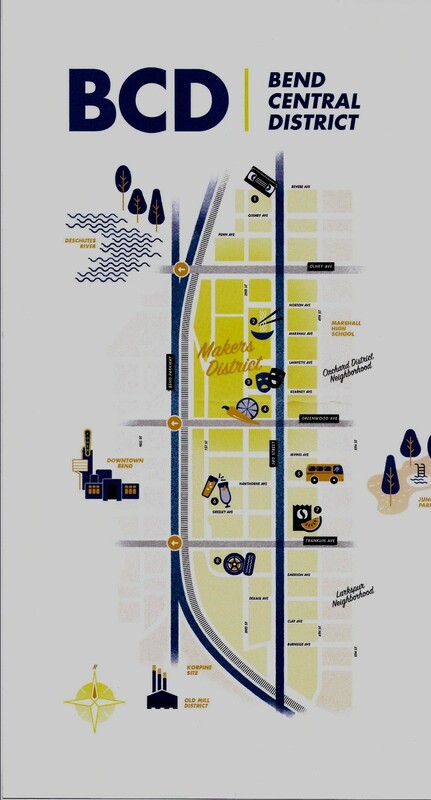 Newbold said COLW is hosting a celebration at Oregon Spirit Distillers May 17.